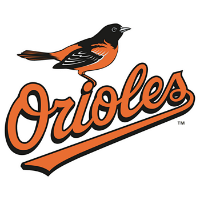 Adam Jones and Manny Machado homered to lead the Baltimore Orioles back from a 6-0 deficit to an 8-7 win over the Detroit Tigers on Friday night at Camden Yards. Jones hit his 17th homer, a three-run shot, to fuel a four-run fifth, and Machado hit a two-run homer, his 22nd, in a three-run sixth that pushed the O’s ahead to stay. The rally saved Wei-Yin Chin after a rough outing that saw Chin give up six runs on 10 hits in three and a third innings. Mychal Givens picked up the win in his Major League debut out of the pen in an inning and two-thirds of one-hit, scoreless relief. Zach Britton earned his 27th save with a 1-2-3 ninth.